Huge amount of service history. 1999 Ryland Birmingham 2,236 miles – A Service. 2000 Nick Whale Sports Cars 4,856 miles – A Service. 200? Bell & Colvill 16,398 miles – A Service. 2006 19,672 miles – MOT. 2006 Classic Chrome Ltd 19,673 miles – B Service. 2007 Castle Lotus 27,157 miles – A Service. 2007 27,163 miles – MOT. 2008 33,386 miles – MOT. 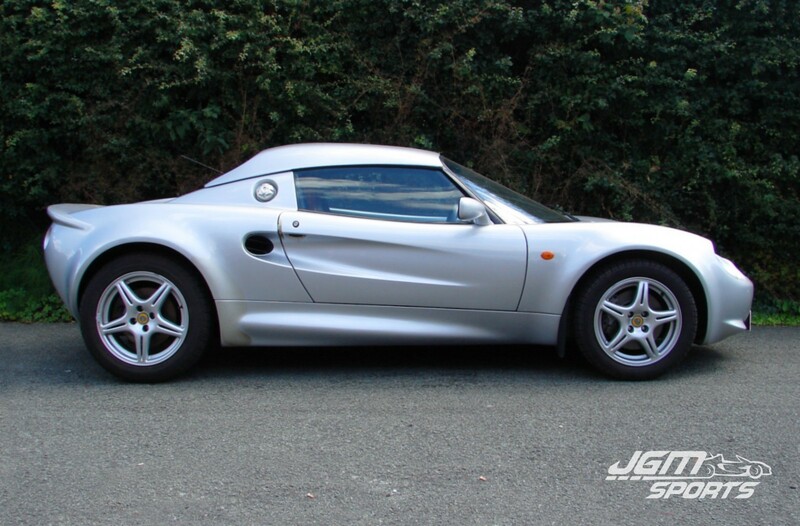 2008 London Lotus 33,885 miles – A Service. 2009 38,590 miles – MOT. 2009 Castle Lotus 38,594 – C Service (Cambelt). 2010 43,199 miles – MOT. 2010 Castle Lotus 43,797 miles – A Service. 2010 Castle Lotus 46,872 miles – A Service. 2010 46,882 miles – MOT. 2011 Castle Lotus 51,828 miles – B Service. 2011 51,828 miles – MOT. 2012 Castle Lotus 55,605 miles – A Service. 2012 55,607 miles – MOT. 2013 Bell & Colvill 60,642 miles – A Service. 2013 60,642 miles – MOT. 2014 63,010 miles – MOT. 2015 63,962 miles – MOT. Standard car apart from sports exhaust. Red leather interior with matching red soft top.